Hands down, our favorite whitening strategy is oil pulling. Just in case you aren’t familiar with oil pulling, here’s an article we wrote several years ago detailing this ‘old school’ detox protocol. The reason oil pulling is our favorite solution for naturally whitening our teeth is because unlike so many whitening strategies that have risks of damaging enamel and gum tissue, oil pulling actually helps reduce tooth decay and gingivitis. The reason oil pulling works to help whiten teeth is similar to what oil is doing in your car’s engine. Think about it. When the oil in your car is changed, the clean oil going in is, well, clean. And the used oil that leaves your car is all gunky. That gunk is any waste from the engine running being gathered up and removed from the engine by the oil. The same goes for oil pulling. It’s been scientifically proven that oil pulling helps to stop gum disease. And if you use coconut oil, you’ll lower your risk of tooth decay too. A component of coconut oil, called monolaurin, has shown to be a very effective antimicrobial on the main bug implicated with tooth decay, strep mutans. While some on the internet may argue that baking soda is too abrasive for regular use in the mouth, the science says that baking soda is actually pretty soft. In a recent article titled ‘What’s the Safest and Most Effective Abrasive for Naturally Whiter Teeth’, we discussed a term called Relative Dentin Abrasivity or RDA for short. On this scale, dental researchers have ranked lots of oral hygiene products to determine how abrasive they are. The scale goes from 0 being no abrasivity to 269 that would do well to polish your grandfather’s antique car bumper. The game with using baking soda to whiten is to gently focus on the front teeth while the baking soda shifts from powder to solution mixed with saliva. Once baking soda is basically liquid in your mouth (mixed with saliva), it will still have some gentle ability to remove stains, but if you want to focus on whitening, focus on front teeth first. Remember, gentle. It’s a marathon. Just because baking soda has a low RDA score doesn’t mean that you can’t scrub too hard with it. Clays have a unique ability to be very soft (low abrasive) yet able to polish more effectively. In fact, one specific type of clay, white kaolin clay, has the high score from the research on its ‘Cleaning Efficiency’. This cleaning efficiency is a combination of a low abrasivity score and a high ability to remove stains. While any clay is decent, white kaolin clay is the best by quite a bit. Activated charcoal is another very popular at home alternative teeth whitening strategy. Some say it does wonders. Others argue that it doesn’t work. (1) We think much of the disparity of opinions could be that those who say activated charcoal doesn’t work expect charcoal to work like their commercial whitening strips (aka overnight) (2). Similar to oil pulling, it makes sense how activated charcoal would draw stains out of the teeth. After all, activated charcoal is used internally when one suspects a recent case of food poisoning. In fact, we always carry a bottle of activated charcoal capsules when traveling in case of the risk of food poisoning from eating out while on the road. Potential risks of daily use of activated charcoal? However, we do have some concerns about potential problems that may exist from regular use of activated charcoal as a whitening tooth powder. You see, the reason activated charcoal works on food poisoning is because it binds up whatever it comes into contact with. Warnings exist regarding the internal use of activated charcoal as activated charcoal can interfere with absorption of medications as well as vitamins and minerals. One of the reasons we brush our teeth is to increase the saliva in our mouths to provide our teeth the necessary remineralization that occurs from contact with lots of saliva. However, if we brush with activated charcoal on a daily basis, our concern is the charcoal’s binding ability will tie up the minerals necessary and inhibit this important remineralizing action of saliva. So, we consider brushing with activated charcoal safe so long as you use it sparingly or perhaps for 1-2 weeks to whiten your teeth. We don’t encourage using activated charcoal in the mouth on a daily basis until further research shows that doing so doesn’t inhibit remineralization. We know that some of you may be saying right now, “Wait a second! Isn’t it hydrogen peroxide that causes all the problems in conventional teeth whitening treatments?” And you’re right. In this case, we have to consider the concentration of hydrogen peroxide used in the mouth. Many studies show that hydrogen peroxide is dangerous at higher concentrations like those used in conventional whitening treatments. Some studies even show potential risks at concentrations as low as 3%. If you choose to use hydrogen peroxide to support teeth whitening, keep it really low concentration. We don’t suggest using anything higher than 1% (max 1.5%) concentration. Given all the mixed press on hydrogen peroxide, it may be helpful to know that the human body produces hydrogen peroxide primarily in the lungs, gut and thyroid gland. A fascinating study done in 2009 at Harvard University suggests that the presence of hydrogen peroxide actually ‘calls’ the immune system to an injury. (3) This makes sense when you consider that hydrogen peroxide is such a biologically fundamental ‘defense’ strategy at a cellular level. For this reason, we stand behind the idea of using dilute hydrogen peroxide when someone is effectively addressing significant gum disease. But given the mixed studies in the literature regarding the relative safety of hydrogen peroxide, since we’re talking about the cosmetic issue of whiter teeth, maybe give other solutions above a try first and save hydrogen peroxide for more serious matters like infections. That said if you choose to use dilute hydrogen peroxide in the mouth, keep the concentration really low and swish for several minutes to increase the ‘time on the teeth’. Other than abrasive strategies which simply scrub stains off teeth, all whitening techniques, whether we are talking about the conventional bleaching techniques or natural whitening, rely on time to help remove stains from teeth. Incidentally, this is why commercial ‘whitening toothpastes’ that contain some form of peroxide really don’t help. They don’t have the ‘time on the teeth’ to do their bleaching/whitening job. So, to give whatever strategy you choose even more positive impact, let it hang around on your teeth for a few minutes before you rinse. Even better, try some of these ‘hybrid’ techniques to provide even more potent whitening effect. It makes a lot of sense to us to combine two or more of these strategies to maximize the efficiency of the time you spend to whiten your teeth. Perhaps try mixing a capsule of activated charcoal with your oil you plan to use for oil pulling today. This way, you’ll benefit from the stain removing ability of oil pulling AND help to draw out stains with activated charcoal AND will have the ‘time on the teeth’ factor taken care of by the amount of time you commit to oil pulling. As far as a bang for the buck efficiency for naturally whitening your teeth, this combo is our first pick. Just remember to spit the used oil somewhere outside as it’s going to be a mess if you try to spit into the bathroom sink! Make a simple mix of baking soda and clay powder to benefit from the gentle abrasive of each. Perhaps add in a little xylitol to support remineralization while you’re at it! In the end, whatever strategy(ies) you choose, be sure to go about it consciously to care for your enamel. We hope these strategies help you have a healthier, happier (and brighter) smile today and always! For even more safe and natural teeth whitening tips, feel free to download our FREE eBook, How to Naturally Whiten Your Teeth (Without Destroying Your Enamel). How about you? What strategies have you used to whiten your teeth? Have you found benefit from them? Any you suggest we stay away from? I’m confused about the frequency of using the activated charcoal. You write that it can be used 1-2 weeks. The next sentence says to NOT used it on a daily basis. Can you further explain? Great question! Thanks for stopping by to ask it. First, I’m sorry if the article was confusing on this aspect of it. With this part of the article on activated charcoal, we were simply expressing our personal concerns about the potential risks of daily use of activated charcoal. You see, warnings exist against using activated charcoal internally daily because it can inhibit absorption of vitamins and minerals. So, from our perspective, the same warning could be applied to regular use in the mouth. From there, we propose that readers just use caution when using activated charcoal. What we were suggesting in the article is to either use it sporadically, maybe once a week, or use it daily for max 1-2 weeks. That’s all. We hope this makes more sense and apologize if the way we worded that part wasn’t as clear as it could have been. Ah, thank you for stopping by just to share your appreciation. It really means so much to us to know that ‘you’ are out there reading and finding benefit from our work. Is it crucial to oil pull for the full 15-20 minutes and EVERY day or would every other or less time daily be effective??? I have a hard time seeing how to add 20 minutes to my day, so I have yet to give this one a try. I did try the turmeric and the charcoal on my teeth (at different times) but found not much improvement, but a large mess! Thanks for your info! We hear you on the time issue of oil pulling. And you’re right, you can oil pull for less than 20 minutes. However, it might help to know that you can do lots of other activities while oil pulling. For example, I’m sitting here answering your questions on my computer and I could be oil pulling. Sometimes I oil pull while taking a shower. So, there’s no reason to not ‘double up’ and oil pull while doing other routine activities like surfing the net, watching a movie, reading, etc. In fact, sometimes I find that I oil pull for longer than 15-20 min because of the other activity. I’m a little confused on how activated charcoal, which is black, helps to whiten teeth. Also, do you have a contact for food-grade kaolin clay? Thanks a bunch. I know, right? It’s kind of strange to think that something black would promote whitening. The answer really is in the fact that the nature of activated charcoal is to bind. So, when the charcoal comes into contact with the teeth, it binds to all the various elements that might stain our teeth. I’m sorry to hear about your poor results from a home whitening kit. My hope is that many other people will read your experience here and be able to avoid the damage you’ve experienced. Thanks for the kind words on our product solutions. We’re glad they are helping you! Cosmetic grade kaolin may be fine. Just read the ‘spec sheet’ on the product to make sure that it’s a really fine grade with few if any impurities. I have only used the charcoal for this purpose, but would like to try some of the other suggestions! Hello – I had been looking for this one! Thanks – I had been oil pulling with coconut oil for quite some time and I do think it helped whiten my teeth (although I did not have any before photos to compare – that is a good idea). But I quit after reading a warning that it would also be pulling from my silver fillings. Do you know the low down on that? Thanks for all the great info you are always passing on! Thanks for the supportive words. It’s fine to oil pull with amalgam fillings. It’s important to grasp that amalgam fillings off gas 24/7. They give off more mercury vapor when stimulated. Most common ‘stimulants’ are hot drinks, brushing, dental cleanings, and chewing. I really don’t think that oil pulling would increase the risk of mercury vapor. And even if it did, my guess is the oil would tie it up and you spit out the mercury with the oil. Great article! It was hard to wait for each post in this series, but it has been truly helpful! Thank you for the reminder to take before and after pics; I know that can be a huge eye opener to see the images side by side! I’ve been oil pulling for a month (love it) and will try it with the activate charcoal! Are whiter teeth healthier teeth? That is, are you promoting these as the best methods for oral health in general or just for people who care about the whiteness of their teeth? Whiter teeth aren’t necessarily healthier teeth. We wrote this series simply because we have received so many questions about natural teeth whitening strategies over the years that we wanted to (finally) give this subject the attention it deserved and answer reader questions. Great question! Tooth color doesn’t reflect health at all. That said, the thicker one’s enamel is the whiter the teeth will tend to be. Thus the reason why teeth color over the decades, a combination of stains and loss of enamel. We hope that helps dispel any misinformation we may have caused for you! Will, do you have any suggestions for reversing or improving bone loss in teeth? It may not be possible. Love your articles and products! Thank you for reaching out to us with your questions and your caring words of support on our work. Thanks for confirming that there are people who will want to read our thoughts on this interesting subject!! Do you have any information on the effectiveness of these methods on extensive dental work? I have a mouth full (not exaggerating!) of crowns made of composite that is biocompatible for me. I was wondering if composites would respond in the same way as dental enamel. Thank you for stopping by to ask your questions. Our research suggests that for the most part, dental fillings aren’t as easy to whiten. So, just remember to take the ‘marathon’ approach, take before and after photos and share with us what you find so we can all learn from your experience! Aloha, can you pls. share your thoughts on using food grade Diatomaceous Earth for cleaning or whitening teeth? The information that you share is very much appreciated & I find it to be very helpful. Mahalo nui loa! Diatomaceous earth is also known as hydrated silica. While it’s not particularly hard on a hardness scale, we have concerns about using diatomaceous earth in the mouth on a regular basis. It’s shape is very sharp and there is some science that suggests that it’s too rough on enamel. Thanks for a great series of posts! Can you recommend a starting ratio for a clay, baking soda, xylitol mixture? The ratio really depends on your mouth. If your teeth are more sensitive, you’ll want to use less soda and xylitol. If you ‘grow’ plaque more effectively, you’ll want more soda and less kaolin. To start, perhaps just try equal parts and go from there. Thank you for the time and energy you (and your family) put into sharing health-building ideas! Do you, or anyone else reading this, have information about possible harm to enamel caused by dental cleaning procedures? Primarily I am concerned about scraping and scratching with metal instruments used during cleaning and exams? As I write this, just the thought of it, makes me cringe a little- like fingernails on a chalkboard? Yeah, there is some perspective that dental cleanings do remove a bit of enamel, which makes sense when you think about it. After all, what are we all taught from childhood? Never put a sharp metal object on your teeth! That said, in the hands of a caring hygienist, cleanings can be so easy. We also think that advances in technology toward lasers will provide better results with less wear on enamel. Thanks for asking. Please restate your question as I’m not sure what you are asking here. I’m surprised that baking soda is before white kaolin clay on your list. Hmm, good point. I really didn’t put the list into a particular order of ‘better to worse’ or anything like that. Perhaps someday we will rework the article and put them in some intentional order. It lost most of my message! Just asking how to use the clay. Kaolin can be added to a mixture of other ingredients as a tooth powder. You can also take that tooth powder with whatever ratio of ingredients makes sense to you. We have offered a number of ideas in this series. I tried baking soda. It worked indeed. Now, there’s this laser whitening which is quote costly but certainly effective, not to mention quick. Thank you for stopping by to add your input. I wonder what the research says about laser whitening. Is it part of the ‘light’ bleaching that we refer to in our series? My guess is some would call the light enhancing effect of bleaching ‘laser’ to make it sound even more ‘tech WOW’ for marketing purposes. In your previous posts you had mentioned that some methods are for extrinsic staining and others will help both intrinsic and extrinsic staining. Which of these methods do you believe would be helpful for intrinsic stains and which for extrinsic stains only. Great question Elisabeth. Thanks for stopping by to ask. What we came across while researching for this series was that if a person has deep intrinsic stains, particularly from exposure to certain antibiotics, that bleaching is necessary to whiten these stains. The research also suggested that longer term bleaching may be necessary to achieve desired results. So, it really comes down to a personal soul search… How important is it to the individual to have whiter teeth? What are the relative risks vs benefits of such a course of action? Are there other options? If I were in the shoes of a person with this situation, I would exhaust natural methods first before shifting to bleaching. For example, I’d do a ’30 day oil pulling’ commitment for myself. Everyday for a month, I’d oil pull and take ‘before and after’ photos so I could see the changes. That way, if I still wasn’t satisfied with the whiteness, I would know that I had tried less invasive strategies prior to choosing a method that may challenge my teeth. Great article. I would like your thoughts on oil pulling with mercury fillings in teeth. I’ve had a holistic dental practitioner tell me to be careful and not oil pull everyday with mercury fillings because it can stir up the mercury. I can’t afford to get the mercury out right now, so what do you suggest? Thank you for stopping by and offering your kind words of support and great question. I’m not particularly concerned about oil pulling with amalgam fillings. There are two main considerations regarding oil pulling with amalgam (or any) fillings. 1. Whether the mercury is going to be liberated more from the oil pulling and thereby increase the risk of mercury toxicity. While this is possibly true, the research on what stimulation causes an increase in mercury to be liberated from an amalgam filling suggests that the main stimulants that cause this are: picking (like a dental tool), brushing the surface of the filling (physically stimulating the surface), and heat (like a cup of coffee, etc). As oil pulling doesn’t involve any of these methods of increasing the stimulation of the amalgam, I see no reason to avoid oil pulling with amalgam fillings. To add to that, even if oil pulling stimulated the mercury to liberate, the fact is you are oil pulling to capture toxins and remove them from the body. Now, I realize that I’m assuming that oil in the mouth would help tie up any ‘extra’ mercury liberated and I don’t know if this is true. But it seems reasonable to me to think that IF more mercury is liberated from oil pulling that the oil/process itself would help bind the vapor and you’d spit it out. That said, it’s been proven that mercury off gasses from an amalgam filling 24/7 and more when stimulated like mentioned above. 2. The second consideration on this subject is whether oil pulling is going to compromise any existing fillings (mercury or composite). This is another myth circulating on this subject. If a filling becomes compromised from oil pulling, then it was compromised already and the oil pulling simply helped it along its path to failure. In other words, oil pulling will not cause a properly placed filling to become weaker. However, if a filling is weak (and therefore should be changed as it’s not doing its job to restore the tooth), then we can see how oil pulling could further weaken the filling and increase its speed of failure. I consider this a benefit as the filling in question was already compromised and needs to be changed but we may have not been aware that it had already failed. I like the idea of giving myself 2 to 3 months. Usually, I want the quickest and fastest solution. Maybe I’ll just have to be a little more patient for better results. When talking about teeth whitening, there is one thing that is almost never talked about, eliminating teeth discoloring products from your daily diet. In order to get the best results with the examples mentioned above, you must either be consuming moderately, or eliminating contaminants entirely for a set period. Thanks for coming by to contribute to our discussion! We completely agree with you that lowering or eliminating staining foods/drinks is essential. In fact, we wrote the first article in this series on exactly that subject! :). Check it out and let us know in the comments there if you have any other foods/drinks you have learned to avoid. That way we all learn from one another! I’ve appreciated the information in your site. My gums have improved considerably from your help. One thing I’ve come across that helps considerably to remove stains from my teeth ( I drink black tea) is a paste of lemon juice and baking soda. I hesitated to use this at first because of the acid of the lemon but found that when mixed with the baking soda it is very alkaline. Putting the paste on your teeth without brushing helps. There were a few worse stains the went away with a light rub with my finger. I also found a gum surgical technique that is very non invasive for those who want to restore gum tissue quickly and permanently. Better gums right away and minimal pain. It’s called the pinhole surgical technique and the process is shown on YouTube if you do a search. Thank you for sharing your experience with us Kathy! I have heard of this lemon and soda technique too and always presumed the soda would counter the acidity of the lemon. Also, thank you for sharing about this surgical technique for those reading who may find benefit from this potential. Fantastic blog sharing by you. Someone can get whiter teeth tips easily by reading this blog. Baking soda or sodium bicarbonate is the most common natural teeth whitener. It is an alkaline substance that’s why it helps balance the oral ph level, which in turn promotes healthy teeth and gums. However, there are also disadvantages to using baking soda as teeth whitener. We should be aware of that if we do it repeatedly, it can weaken our teeth’s enamel over time. I think that using baking soda is a time honored classic. I have heard all growing up that it would be a good alternative to toothpaste and could help keep them whiter. So, I do brush with it every now and then, I just hate the taste. I will have to try some of your other suggestions though. The most intriguing being the use of clay powder. Thanks. The body makes hydrogen peroxide naturally? That’s really interesting. Well, if I do end up using it to try to whiten my teeth, I’ll try to dilute it a little. It sounds like the time it is in contact with your teeth is a major factor on how much it whitens them. I just want my teeth to look nice for my wedding. That’s a good idea to take pictures of your smile so you can see how much you’ve whitened your teeth. Since it’s a gradual process, you might not be able to notice the change very much. I’ll have to look into what I’m doing to make my teeth yellow in the first place. I don’t want to sabotage my whitening efforts. What a nice article! Thanks for sharing your tips and tricks about how to make our teeth whiter. I enjoy reading your article, I hope you continue sharing your knowledge with us in the future. For teeth whitening, I don’t know if I would trust the home remedies since I haven’t done them before. With that in mind, I’d rather get it done by a cosmetic dentist. This way, you can be sure that the procedure will be done correctly and safely without any damage to your enamel. Thank you for stopping by to offer your input to this conversation. Thank goodness we all don’t want the same thing, right? I suppose I’m much more cautious and dubious of the dental profession than you express here. Given that the dental profession still sings the praises of fluoride and mercury amalgam fillings despite tremendous research proving their dangers, I’m frankly not sure the reasoning you pose here is sound (from my humble, yet very opinionated opinion). I encourage you to check out the substantial scientific references in our articles on this subject to see that much controversy exists whether teeth whitening treatments done at a dental office are safe and don’t damage enamel. May we all find the path that serves us best. I first heard about remineralization of teeth from a dental assistant student patient of mine 30 years ago. I have been asking dentists about it ever since, and they all scoff. Well, probably only a dozen or so total, but without exception they politely scoff. NOTE: My experience is that most doctors, dentists, chiropractors, and even lawyers are good, caring people who want to help others. However, many wonderful, effective, safe advances in all these fields never reach the field doctors at all due to politics at the top. These advances seldom are taught in colleges, or at seminars, or published in their journals. Then politically appointed “disciplinary boards” intimidate and harass anyone who does not follow the often obsolete and generally expensive status quo. Our dentists are our friends, and can be wonderful counselors if we treat them with respect and courtesy. Protect them from the system they must work under. Nice article. During holiday season it becomes very important to keep your smile healthy and beautiful. Try home remedies also this holiday season. Avoid Chewy candy, sweat soda, use water. Thanks for all of the teeth whitening tips! I had no idea that baking soda and clay powder is a good remedy, but, as you say, it’s really simple and easy. Plus, this is something you can do everyday, so it will ensure that your teeth are regularly getting a thorough cleaning and they’re staying white. I’ll definitely try this out! Activated charcoal has always seemed nasty to me. I’m not sure that I could handle the taste. It may just be a mental thing but it just doesn’t sound appealing to me. Thanks so much for the advice. Great article – I hadn’t even heard of oil pulling until I read your article. I’ve tried baking soda and also activated charcoal. The soda works slightly but the effects don’t last. I didn’t notice any difference after brushing with activated charcoal for a week. Not sure I have the staying power to try oil pulling – not sure my kids would let me get away without talking to them for 20 minutes!!! I hear you on the temporary benefits of soda. Many people find benefit from charcoal but we aren’t sure how we feel about the long term implications of charcoal use. I think you are right on with your thinking here. Incidentally, on the Mohr’s scale of hardness (where diamonds are 10), ironically activated charcoal is only around 2. However, your point about RDA for charcoal is another subject all together. I don’t know the RDA for activated charcoal by itself, but my guess is it’s pretty high. My reasoning for this guess is a company who makes a tooth powder that uses activated charcoal as one of it’s ingredients states that the RDA for their product is 117. Yikes! Sure, it’s lower than some ‘whitening’ commercial pastes on the market, but that’s not a very high standard to judge one’s product safety. Incidentally, a friend of ours, Dr Mark Burhenne, states that any tooth product with an RDA over 70 shouldn’t be used. FYI. Keep your questioning thinking Eric. Good thinking here! very helpful post.Great article. thanks for your information. Someone can get whiter teeth tips easily by reading this blog.I just want my teeth to look nice for my wedding. I heard that american dentists are best in teeth whitening. My teeth have already been bleached twice and are now very sensitive. Has anything gone wrong with the bleaching or may there be another reason? Can I do it once more? I am a bit confused that if someone by mistake swallow activated charcoal then what will happen. Is it going to harm the internal organs. I curious to know about this. On the other hand, baking soda is a good remedy which can be used at home. And, rest of the points explained here are interesting. Thanks for share this post. I had yellow teeth problem before I used charcol tooth polish and i got good result. I read the entire article on oil pulling some time ago. I am still kind of mystified on how to apply it to my teeth? And what the term “pulling” refers to? I’ve used baking soda with lemon juice, mixed into a little paste before brushing- it seems to work well. But I don’t know if it takes any minerals off my teeth? Great questions! Oil pulling is an ancient cleansing and detoxifying technique from Ayurvedic medicine, the traditional medicine of India. The process is simply to vigorously swish (also known as “pull”) unrefined oils (usually coconut or sesame oil) throughout the mouth for several minutes. Similar to what oil does in a car engine, oil pulling gathers all sorts of debris like bacteria, fungi, and viruses (aka bad bugs) into the oil to be spit out. Some people also like to do oil pulling to help remove stains so that their teeth appear whiter. Our article “Can Oil Pulling Help Heal Leaky Gut” explains more on how to properly practice this technique. Baking soda is a great, gentle abrasive that you can use to gently polish away stains on your teeth (stains build up on the teeth from the foods and drinks that we consume, and it’s good to gently polish them away from time to time to remove any discoloration and help your teeth’s natural beauty to shine through). However, lemon juice is acidic. If we were in your shoes, we would not use lemon juice for brushing our teeth, because the acidity may weaken your enamel and increase your chances of damaging it as you brush. We explain more on acidity in our articles “How to Drink Kombucha and NOT Destroy Your Teeth“, “Can Brushing After a Meal Damage My Teeth?“, and “Tracking Your Saliva pH“. As always, love your content! I whiten my teeth with activated charcoal only once per month; I think it’s really important to note that it will stain veneers or whatever porcelain like material is being used in cosmetic dentistry. I had to get some partial veneers near my molars because a former dentist pulled one too many teeth and there was an awkward space left after I got orthodontic work done. So, I won’t even go close to these teeth with activated charcoal. Using the charcoal on teeth without cosmetic work is fine and my personal results were quite noticeable after three uses. Would the kaolin clay, baking soda, and xylitol or erythritol) be effective as a daily tooth whitening toothpaste? We all are seeking whiter teeth. I like the point mentioning the method of using activated charcoal. It is okay that it does not work immediately but small progress is still worthy to be noted. It would also be good to consult a dentist and discuss teeth whitening options. We do like the thought of using activated charcoal, too. However, for us, it’s not something we’d want to brush with on a daily basis, because we would want to avoid the potential of the activated charcoal binding to minerals in our saliva that are necessary for tooth re-mineralization. Instead, for daily gentle whitening action, we prefer oil pulling, brushing with baking soda or clay, and modifying our behaviors to reduce the likelihood of stains building up on our teeth. Also, since you mentioned consulting a dentist to discuss teeth whitening options, you may be interested to read our blog entries “Teeth Whitening – Methods and Differences” and “Can Tooth Whitening Treatments Destroy Your Teeth?“, so you know about the possible consequences of using various teeth whitening ingredients. I really like using a combination of baking soda, probiotic, coconut oil and bentonite clay for brushing my teeth. Sometimes I will illuminate the clay and add peppermint oil. I love 🙂 oil pulling! Have been doing it for a long time. I have been using the bass toothbrush for a while and love it!! It has helped my gums a lot. I am also using it on my dog. I know weird 😉 right? But he is a terrier cross and had build up on the canine teeth as well as some of the others. So to save him from having to go to the vet for cleaning I started using the Bass brush on him with coconut oil. At first there was bleeding but now after a couple of months teeth are white and no more bleeding. Does he wag his tail with joy when I get out the toothbrush ? NO, but he doesn’t run either. He acts like it actually feels good. Just remember not to use baking soda as it doesn’t do well with dogs and be careful with essential oils. So to be safe I just use the coconut oil. Hi, can you provide any research that proves that oil, curcumine and activated charcoal ‘pull’ stains from teeth? I heard that it’s a myth and that activated charcoal only works because of its abrasiveness. Also, since clay can bind nutrients as well, do you suggest to only use it temporarily or once a week just lile activated charcoal? How often do you recommend using hydrogen peroxide at max? And for long max? Is it correct that it can help with gum disease? I don’t understand why. read that it’s harmful to gums, but maybe it depends on the dosage. Hi Liked your blog and interesting to read, I am dentist by profession and provides all dental services across Sydney, Australia. Hello, Greeting from Europe ! I am a big fun of your natural products and your work and I would like to ask if clay is safe to use with your HealThy Blend because clay has naturally occuring tiny amounts of lead? I called many American Companies like mountain rose herbs , redmond clay ,aztec clay and when I asked them about lead in their clay they said that every clay comes from the earth and that is why there is tiny amount lead in the clay, but it occurs naturally so it is bind with other elements in the clay and does not leak in the human body , so the human body can not absorb the naturally occuring lead in clay. They also said that there is no way to completely remove lead from clay. What do you think about all of this ? I would very much appreciate your opinion on the matter. this might be a dumb question but does it have to be liquid coconut oil. Great Article, thanks for sharing these important point with us. Very interesting article! Natural way is the most convenient way to get better and safe result. It really works. It is good to know that activated charcoal can be used as a method of teeth whitening. I am also glad to know that it can help to minimize the symptoms of food poisoning. I have heard that flossing is another way to slowly whiten teeth. Do you know anything about this? I have been horrified of the staining my two front teeth has sustained after a night of red wine in which I fell asleep afterwards without brushing !! I have stains on the two front teeth that are not coming off as a result. These stains have been here for more than a month now. I have just started using your Shine powder, will it help with this extrinsic stain?? Thanks for reaching out to us here! When using Shine to whiten teeth, it’s best to apply the dry Shine power to your brush and only brush a few teeth at a time, then reload your brush with Shine and brush a few more teeth. This takes advantage of Shine’s polishing power! You might also try oil pulling for a few days. Oil pulling can help whiten your teeth. This post is really interesting.. I have a quick question? If I use the oil pulling method, how long do you think this will take to whiten my teeth? This site is so helpful! But I have one quick question? If I use the oil pulling method, how long do you think it will take to whiten my teeth? I’m using baking soda to whiten my teeth and it really helps. Activated charcoal as well! Does oil pulling method hurt? I use “Activated Coconut Charcoal Powder” It’s very natural and gives best results for my teeth. Hi Will, great post as always. 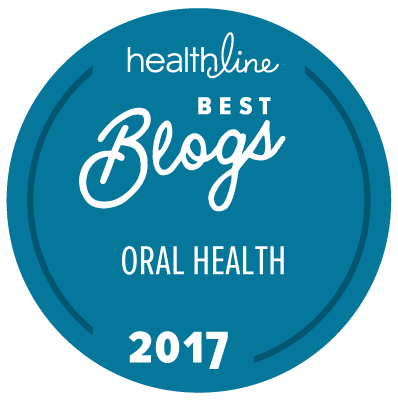 Thank you so much for writing this well-researched and informative post on How to Make Your Teeth Whiter and sharing your favorite safe whitening strategies. Will try out this method soon. Keep up the good work. Honestly speaking, my teeth are yellow-white and I want it whiter. So I always brush it with my usual toothpaste and baking soda. Since you’ve shared here that baking soda and oil pulling could remove stains, I guess, I am going to try oil pulling as well. I will give you an update on its result. Thank you very much. Thanks for such a really useful article. I read this article it was extremely effective and I bookmark it immediately. You explain effective home remedies. GOOD DAY DOCTOR….HOW DO I USE NORMAL CHARCOAL TO WHITEN MY TEETH?? ?